What sets Duke Energy apart is its leadership. They’re a leader in generosity, as United Way’s third-largest donor year after year after year – one of only five companies to contribute more than $1 million annually to United Way. Duke Energy’s fundraising success originates in having significant top-down buy-in from senior executives. They set the tone, always giving first before the company-wide campaign kicks off. And their commitment is deep, with an exceptionally high number of Alexis de Tocqueville donors ($10,000 and up) for United Way of Central Carolinas. Beyond giving financially, they lend their leadership expertise to United Way itself, with a presence on our board of directors, multiple executives on our regional campaign cabinet, and serving in key leadership roles for our A-LIST, Women United, and Young Leaders engagement groups. 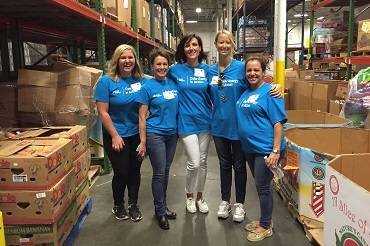 Duke Energy has been central to the launch of two of our newest and most vital measures, very quickly stepping up as a top contributor to the Unite Charlotte fund and helping pilot our forthcoming Tutor Charlotte program to train and place volunteers with children in need of academic support. 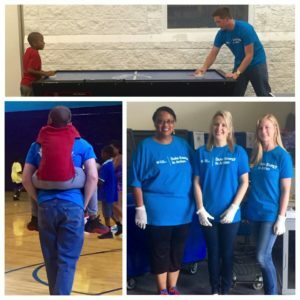 Beyond that pilot program, Duke Energy placed more than 650 volunteers out into the local community last year through United Way and Hands On Charlotte, contributing 1,588 hours to 16 projects – numbers that are expected to grow next year with the recent integration of Piedmont Natural Gas. See more on Facebook, Twitter, and Instagram!